Gov. Dannel P. Malloy said Friday his proposed budget would shift $407.6 million, nearly one-third of the annual cost of municipal school teachers’ pensions, onto cities and towns — a move that would hit the state’s wealthiest communities the hardest. Malloy also said the two-year budget he will present Wednesday to the General Assembly would propose eliminating the $200 property tax credit within the income-tax system, costing nearly 875,000 middle-class households as much as $105 million per year based on nonpartisan analysts’ estimates. Unlike nearly all other state education aid, the state contribution to teacher pensions does not factor in a town’s wealth or local taxpayers’ ability to pick up some of the cost. 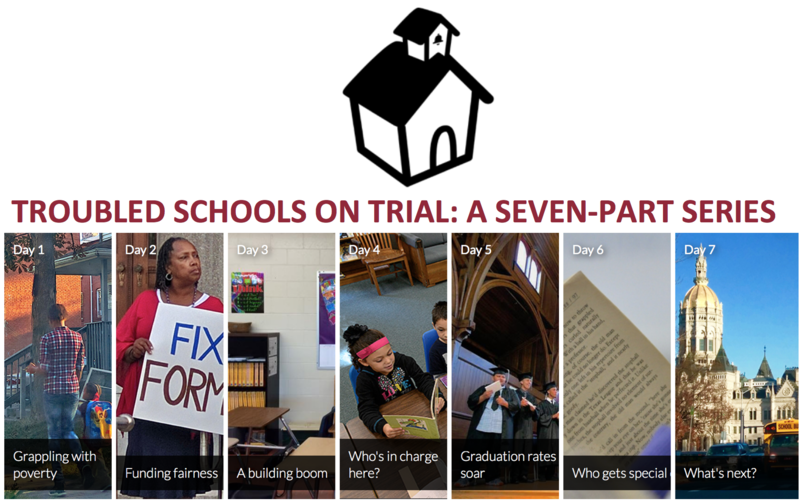 It proportionately funnels the most aid to districts that can afford to hire more teachers and provide the highest salaries. “At a time when state government is making difficult cuts to services, we can no longer exclude how we pay for teachers’ pensions from this conversation,” Malloy said. Overall state finances, unless adjusted, are on pace to run $1.4 billion in deficit next fiscal year and $1.6 billion in the red in 2018-19, gaps of about 8 percent, according to nonpartisan analysts. The governor said some the $407.6 million his proposal would save would go to close the deficit and some to the most impoverished school districts, but he declined to provide details. The governor said that ruling and the condition of education in the most impoverished districts has been weighing on him for some time. 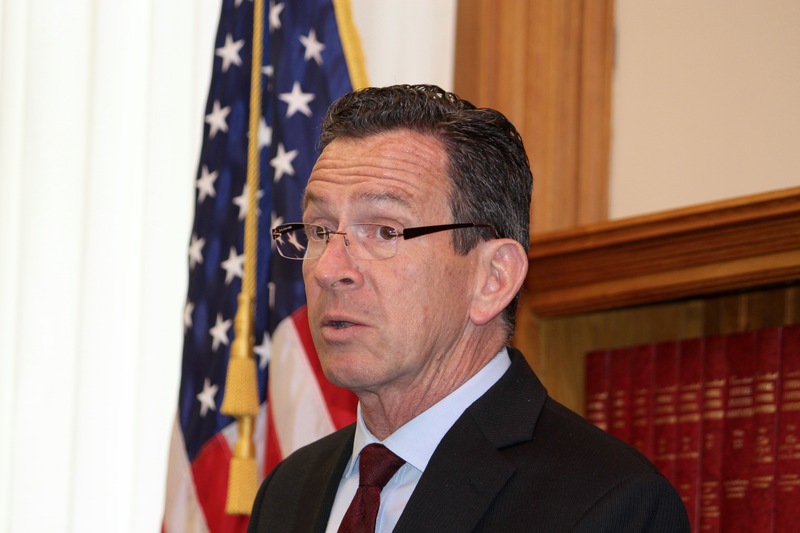 “We are not meeting the need of properly educating our children in this state,” Malloy told reporters at the state Capitol Friday. “We are failing a substantial portion” of students. The proposal would not affect the benefits that now go to retired teachers. Democratic legislative leaders and the executive directors of the state’s school boards association and the state’s largest teachers’ union reacted cautiously, saying they want to judge the proposal in the broader context of total state aid. ECS is the major state funding grant for local education. PILOT refers to the payments in lieu of taxes that partly reimburse municipalities for tax-exempt property. House Majority Leader Matt Ritter, D-Hartford, had a reaction similar to Looney’s. Sen. Len Fasano of North Haven, the GOP leader, said the most regressive tax is the property tax, and Malloy’s proposed shift probably would lead to higher local taxes. “He’s talking now about putting more burden on the towns,” Fasano said. The governor and legislature should be exploring ways to reduce costs for municipalities, including reform of a binding arbitration system that often is the last word on contracts for teachers and other municipal employees, Fasano said. Ritter said Democrats are well aware municipalities want greater flexibility on a range of issues. Educators said they are “extremely cautious” about the proposal, and will wait to see what happens to the other state education grants. “Our schools are just about at the breaking point, and this cost would be impossible to incur at this time,” Robert Rader, executive director of the Connecticut Association of Boards of Education, said during an interview. The Malloy administration declined to say whether cities and towns would be allowed to cut their spending on education beyond the limits that currently exist. Teachers contribute 6 percent of salary toward their pensions. For decades, state government has covered the rest of the pension costs. Benefits are set by statute: 2 percent of the average of the three highest years of salary multiplied by years of service. The pension cannot exceed 75 percent of salary in the highest years. Teachers do not participate in Social Security. Local school boards negotiate salaries. An unintended consequence of the system is that it disproportionately funnels much more assistance to wealthier communities and helps poorest cities the least. Connecticut’s richest towns traditionally pay their teachers the highest salaries and employ more staff, which results in larger pension benefits and higher costs to the state. For example, state government will spend $24 million this fiscal year to fund pensions for municipal teachers and retirees in Greenwich – the most affluent municipality in Connecticut. Greenwich has 8,800 public school students. For New Britain, which enrolls 1,200 more students and is one of the state’s poorest districts – the state will spend $17 million this year – 33 percent less than for Greenwich. Required contributions to the teachers’ pension funds are one of the fastest growing major components of the state budget. They have increased by an average of $80 million annually since 2005, and represent half of the $1.6 billion increase in Connecticut’s annual education spending over the past decade. The $1 billion contribution Connecticut must make this fiscal year will surge beyond $1.33 billion by 2018-19, a 33 percent increase over two years or an average annual jump of nearly 17 percent. The executive director of the Connecticut Council of Small Towns, Betsy Gara, also reacted cautiously to the governor’s proposal. If the state is going to shift some pension burdens onto communities, she said, that discussion must include mandate and arbitration reforms that would help towns better control wage and benefit costs, she said. The governor said he would not propose any major tax increases to balance finances next year. But in order to close the deficit and to help those communities most in need, Malloy added, Connecticut must look at the tax credits and exemptions it offers. “That has to be on the table,” he said. The property tax credit first was enacted in 1995 as a compromise between Republicans, who favored a flat tax on wages, and Democrats, who argued for a more progressive system. This provision enabled middle-income households to reduce their income tax obligation to reflect some or all of the municipal property taxes they had paid. Initially set at a maximum of $100 for the 1996 tax year, it has fluctuated about a dozen times since then, twice reaching as high as $500, from 2000 through 2002 and from 2006 through 2010. At its peak seven years ago, the credit provided $365 million in relief to an estimated 1 million income tax filers. Since then, the credit has been shaved to $200 with tighter eligibility standards and is worth $105 million an estimated 874,000 filers. Looney, the Senate leader, said he would rather increase taxes on higher earners than cut a popular middle-class tax benefit.